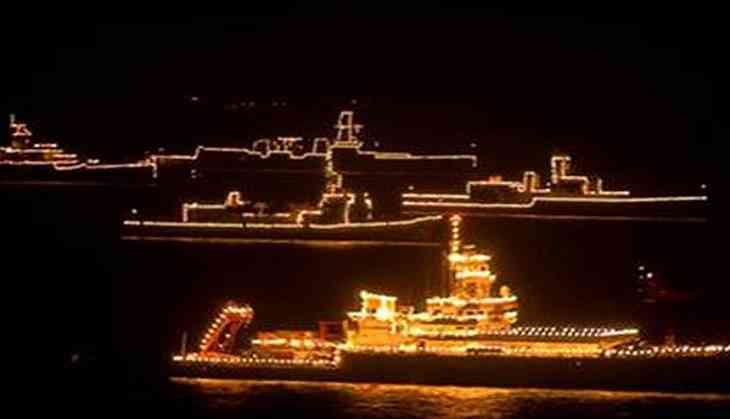 The Indian Navy has started using smart LED street lighting in its naval stations besides conventional lighting on operational platforms which is also progressively migrating to LED lighting. On the occasion of World Environment Day, the Indian Navy on Monday listed out the initiatives taken by it during the last three years under the ` Green Initiatives Drive`. The past three years have seen a unified approach by rank and file in the Indian Navy towards pursuance of green goals. The energy optimisation measures in the Indian Navy cover its entire spectrum - operations, infrastructure and maintenance. Concerted efforts are being undertaken to reduce energy use (both electricity and fuel) through self-driven conservation measures. Further, fuel optimisation measures have been enforced onboard ships without compromising on the operational tempo. The key result areas of energy conservation, diversification of energy supply and minimising environment impact are in line with the national mission of 'Reducing Import Dependency in Energy' and the tenets of the country's 'Intended Nationally Determined Contribution (INDC)' as part of climate change goals. In accordance with the national mission of mega watt to giga watt to achieve the target of 100 GW Solar PV Installation by 2022, the Indian Navy too is contributing with a target of 19 MW Solar PV, by 2018, in three phases. In addition to above, Indian Navy has pledged 1.5 per cent of its works budget, towards renewable energy generation. Under this programme, Solar PV projects are being undertaken in naval stations across all commands. Naval stations, with scarce available land, have resorted to the innovative idea of deploying rooftop Solar PV panels, to harness the solar energy. The initiatives taken in line with the Prime Minister's 'Swachh Bharat Abhiyaan' across various naval establishments have also started yielding tangible results. 5600 kgs of manure, 450 kgs biogas (Methane), which is being used in lieu of LPG, is being generated every month from bio-degradable waste and biogas plants using organic waste converters. Considering the positive impact of afforestation, over 14000 saplings have been planted over the course of the preceding year. These are being nurtured by naval personnel and mitigate an estimated 284 tonnes of CO2. The World Environment Day 2017, with the theme of 'Connecting People to Nature' further gives an opportunity to all echelons to join hands and consolidate our efforts in pursuit of care for the environment.